Cheaper Car Hire at Chania Airport - Compare Estate, SUV, Minivan & MPV rental in Chania. 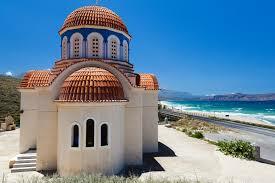 Compare Chania Airport car hire and choose from Sixt and Budget. By booking your car hire before your trip, you can save big money if do it early, especially for peak season travel. Save on convertible, station wagon, estate car and SUV and MPV minivan rental and book today. Get unlimited mileage, breakdown cover, excess reduction and insurance included when booking through us. If you rent or hire a car in the airport your journey will become comfortable and hassle free and you can explore a lot of places along this 25km long island. Chania airport is on the Akrotiri Peninsula of Crete. It serves the city of Chania and Crete. It is a joint military-civil airport. The airport was named after a Cretan rebel against the Ottoman rule in 18th century, Ioannis Daskalogiannis. You can visit many historical places. 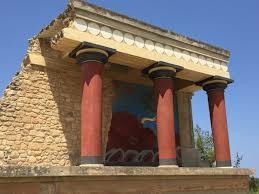 You can go to explore the ruins of Phaistos and Knossos. As this is an island most people visit for the beaches. 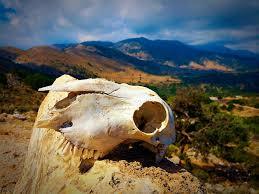 However, there are also numbers of mountain ranges and caves in this small island like Samaria which you can to visit. Compare our reduced vehicle prices for Chania Airport. Save today on Chania driving an SUV or MPV. 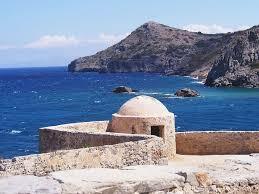 Book your holiday auto for Chania and throughout Crete. Chania has a healthy nightlife, but if you are after a relaxing evening then Chania's Old Quarter will provide such an evening. 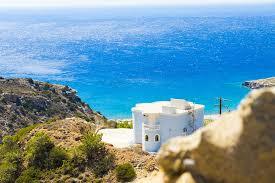 It has low cost Cretan Taverns, plus restaurants serving international cuisine. Afterwards relax in one of the jazz clubs or a quiet bar. Chania, also called Hania, is the second largest city in Crete and was originally the capital until Herkalion took the title. 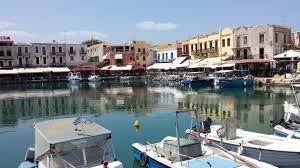 Chania exudes Cretian charm and like all of Crete is a perfect destination for a family holiday. 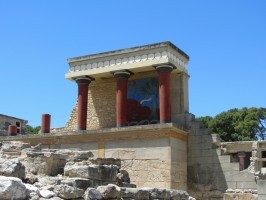 Crete, whilst the largest Greek island, is still relatively small and is ideal to tour by car or scooter. Use your rental car to explore the coastline and endless beaches with good snorkeling and swimming. Compare discounted Crete holiday autos.